Byre Cottages at Sullington Manor Farm are at the heart of the South Downs National Park. 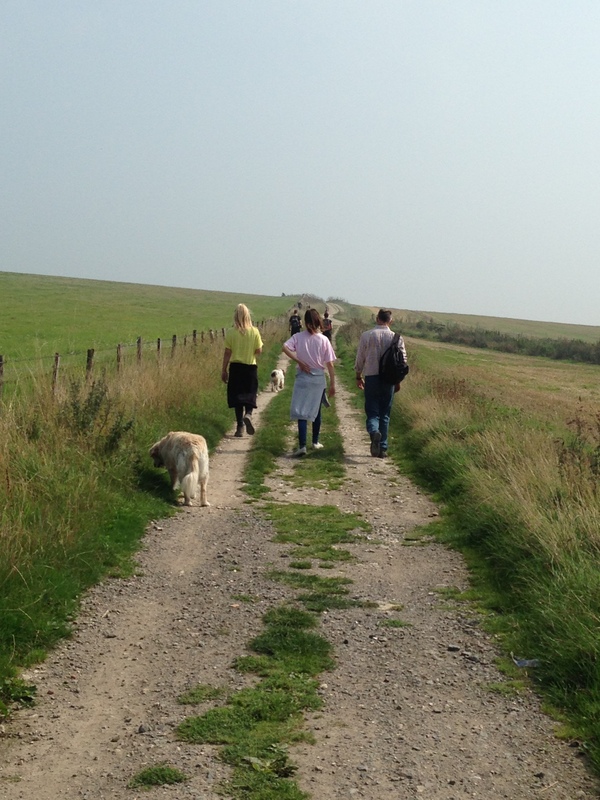 A short walk takes you to the South Downs Way with beautiful views over the Sussex Weald and to the English Channel. The many footpaths across the farm that once served farm workers and church goers now make pleasant walks and lead to nearby villages and beauty spots. This area of Sussex has been inhabited and worked for hundreds, even thousands of years, there are remains of a flint mine and iron-age hill fort, a 1400 year old yew tree in the churchyard, Bronze Age defensive ditch, a Norman knight’s effigy, medieval farm buildings and an ancient droveroad – now the South Downs Way. Sullington Manor Farm is ideally situated for easy access to Sussex. The varied coastline, including the Regency glory of Brighton and the beaches of West Wittering, only 30 – 45 mins drive away from the farm. The nearby towns of Brighton, Chichester, Arundel, Worthing, Midhurst and Lewes provide many historic sites, houses and castles. Sussex boasts widely acclaimed gardens and attractions including Goodwood Festival of Speed and Revival. There are many race courses in Sussex in addition to many very pretty country villages with popular pubs. Visitors from all over the world come to holiday in Byre Cottages, many returning time and time again for magnificent views, terrific walking country, and the convenience of the central Sussex location. Looking for things to do during your stay?